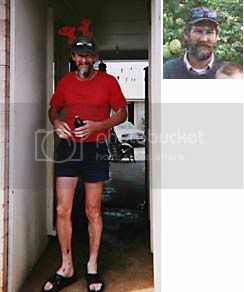 Lester Lee was last sighted at a work party in Tarleton St, East Devonport, Tasmania on 19-DEC-2004 where he appeared drunk and aggressive. He has not been seen since and has not made contact with his family over the Christmas period which is out of character for him. He has a scar on his face (Left cheek 6-7 cm long). Facial hair. Date published: Thursday, November 17, 2005. POLICE investigating the disappearance of a Devonport man early this month have not ruled out a possible link with another mystery disappearance almost 12 months ago. Both men were last seen in Tarleton St, East Devonport. Police hold grave fears for David John Sushames, 44, who was last seen walking in Tarleton St about 1pm on November 1. North Motton man Lester Lee, 41, was last seen on the corner of Tarleton St and Torquay Rd on December 19 last year. Devonport CIB Acting Detective Inspector Peter Powell said the men shared similar characteristics although there was nothing at this stage to suggest they knew each other. "Both men are of similar age, and are both single living men who were both last seen in the same area," Det-Insp Powell said. "But ... in looking at their backgrounds there's nothing to suggest the two men are linked in any way. It's just a bit of a coincidence, I think." Police have exhausted all leads in the search for Mr Sushames, who has not accessed his bank account or used his mobile phone since the day of his disappearance. "There's nothing to suggest there has been foul play but there's also no reason he would disappear like this his family say it's totally out of character," Inspector Powell said. "We're fairly worried about him and obviously his family are very concerned." Mr Sushames lives alone in Devonport, does not work and shares joint custody of two children with his estranged wife. He is due to appear in the Devonport Magistrate Court next January on drug-related charges. Police do not believe the charges relate to Mr Sushames' disappearance. Lester Lee remains an active entry on the police missing person's list. Anyone with information can contact Devonport CIB on 64217537 or Crimestoppers on 1800005555. Date published: Friday, November 25, 2005. POLICE will set up a mobile station at Railton on Tuesday as they continue their hunt for missing man David John Sushames. Police are investigating a range of reported sightings of the 44-year-old Devonport man, last seen on Melbourne Cup Day. They said yesterday they were keen to talk to anyone who saw him in Morris Avenue, Devonport; Tarleton St, East Devonport, on the afternoon of November 1; or the Railton area on the afternoon of November 1. "There was some indication he was going to Railton," Inspector Matt McCreadie said yesterday. "We can't find who, if anyone, he was going to see." He said police would set up a mobile station at Railton on Tuesday in the hope of "sparking up the interest of anyone who may have seen him". Mr Sushames was last seen in Tarleton St on November 1. He is described as being of slim build, 177cm, with a fair complexion, blue eyes, a short beard and receding brown, shoulder-length hair. Inspector McCreadie said the disappearances of Mr Sushames and North Motton man Lester Lee were being treated as separate. "There appears to be no link as far as we can see to Lester Lee." Mr Lee was last seen on the corner of Tarleton St and Torquay Rd last December. Mr Sushames was facing drug charges, relating to amphetamines. Inspector McCreadie said he did not know of Mr Lee having any drug involvement. He said he would not suggest either man's disappearance was drug related. Unconfirmed sightings of Mr Sushames in Hobart had been largely discounted, he said. Date published: Wednesday, December 28, 2005. DEVONPORT CIB is reviewing its investigations into two North-West disappearances, as officers seek answers on the fate of Lester Lee and David Sushames. They are looking for anything they might have overlooked or which provides a new clue. Mr Lee, of North Motton, was last seen in the Tarleton St area at East Devonport on December 19, 2004. Mr Sushames, of East Devonport, was last seen in Tarleton St on November 1 this year. "We are still expending a lot of time on both cases," Inspector Matt McCreadie said yesterday. "We are still treating both with priority and putting a lot of time in investigating all aspects of both." Inspector McCreadie said police had investigated several unpleasant rumours about what happened to the men and regarded them as improbable. He asked people to provide any genuine information and not to "be taken with some of the more outlandish rumours". He said police were still treating the two disappearances as separate, but were looking for any possible links. There was talk Mr Sushames had been going to Railton on November 1. Police subsequently placed a mobile station at the town, but turned up nothing. Inspector McCreadie said police were keen to hear from anyone who knew if Mr Sushames was there that day and anything about his movements or who he might have met. A CORONER will look into an eight-year-old East Devonport disappearance. Lester Lee was last seen at the corner of Tarleton St and Torquay Rd on December 19, 2004. A file on the case was sent to the coroner's office earlier this year, police said yesterday. Meanwhile, police are continuing to follow inquiries into the disappearance of 35-year- old Latrobe man Andrew John Jarman. A date for a coronial investigation into Mr Lee's disappearance was yet to be set, according to the coroner's office. Mr Lee was dropped off at the corner by a friend. The friend came back later, as arranged, but Mr Lee was not to be seen. There was some thought he may have drowned in the Mersey River, but divers did not find him. Nearly a year later, on November 1, 2005, another man went missing from East Devonport. David Sushames was last seen walking on Tarleton St. Both disappearances sparked extensive police investigations. Police are yet to send a file on Mr Sushames' case to the coroner's office. Some other high- profile missing persons cases - including those of Burnie woman Helen Munnings and Paradise man Nicola Sallese - have been investigated by coroners in recent times.